Sitting down to relax after a long day working outside only to discover a tick dug into your skin is a unpleasant but common experience for anyone who spends time outdoors. Although most of us don’t typically look too closely at them before we remove them, it might be worthwhile to do so. There are many species of tick that each have their own particular behaviors and pathogen associations. Different species of ticks transmit different pathogens. It is well worthwhile to familiarize yourself with both the ticks and the symptoms of the pathogens they transmit. There are currently three ticks of primary concern in the Midwest. The lone star tick (Amblyomma americanum) is dark brown with a white dot in the middle of its abdomen. It can transmit a range of pathogens to humans but is perhaps most infamous for being associated with a red meat allergy that some people develop after being bitten. The black legged tick (Ixodes scapularis) is smaller than the other two common ticks and its bite is one of the most common ways that Lyme disease is spread. The American dog tick (Dermacentor variabilis) is commonly found on dogs but it will also feed on humans given the opportunity. It can vector several diseases but it is primarily of concern because it can spread the pathogen that causes Rocky Mountain spotted fever. Asian longhorned tick is an invasive tick spreading through the East Coast. It is not in the Midwest yet but is a pest of concern. 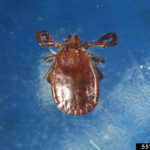 Asian longhorned tick (Haemaphysalis longicornis) was first detected in North America in 2017 but is thought to have been spreading through wildlife and farm animal populations since at least the early 2010s. It isn’t in the Midwest yet, but keep an eye out. They’ve been found in 9 states on the East Coast. These ticks feed on a many types of mammals including livestock, wildlife, pets, and humans. Female ticks can reproduce without males and can lay around 1,000-2,000 eggs in a single clutch. Currently Asian longhorned ticks in North America are not known to spread disease but in other countries they can carry pathogens like Rickettsia, Anaplasma, and Babesia. Clothes: Wear long pants and long sleeves to prevent the ticks from reaching your skin. Tuck them in if you can. Treat: Spray or treat your clothes with an insect repellent. Check: When you head back indoors, check your clothes, gear, and body for ticks. Some ticks may be active even in the winter so it is worth checking for them year round. Removal: Use tweezers to gently grab the mouth of the tick where it meets the skin. Pull it slowly out of the skin. Seek medical advice if you have any concerns about a tick bite. A program to map tick populations and tick borne pathogens in Indiana. 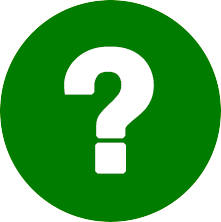 Their website has information on how to join their citizen science program and general tick information. This page contains more details about the Asian longhorned tick. It is maintained by the CDC who is monitoring its spread and will regularly provide updates. The Indiana State Health Department warning on ticks.